Beautiful nineteenth century villa on the hills of the Langhe and Monferrato. 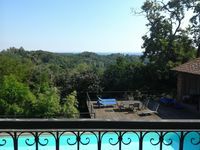 Property 3: Beautiful nineteenth century villa on the hills of the Langhe and Monferrato. Canale d'Alba, in the heart of Roero and Langhe: wine, food and relaxation. Property 7: Canale d'Alba, in the heart of Roero and Langhe: wine, food and relaxation. Historical farmhouse in the green of Asti Monferrato. 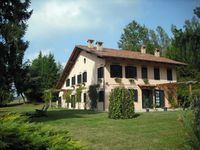 Property 8: Historical farmhouse in the green of Asti Monferrato. Traditional farmhouse of the end '800 independent on all 4 sides. Property 10: Traditional farmhouse of the end '800 independent on all 4 sides. Welcome to La Crota, B & B just minutes from Asti! Property 21: Welcome to La Crota, B & B just minutes from Asti! A beautiful little house, perfect for 2 couples. Nadia was a fantastic host and we would definitely visit again. We loved this place. Perfect for visiting Asti and the surrounding areas. Very relaxing and beautiful. My girls loved the pool! The host was so nice and helpful.